You can see the bottom row is this months project. The prompt was sewing with scraps. When I make a quilt, especially a BOM that lasts for a while, I keep a bag of all the scraps from that quilt. 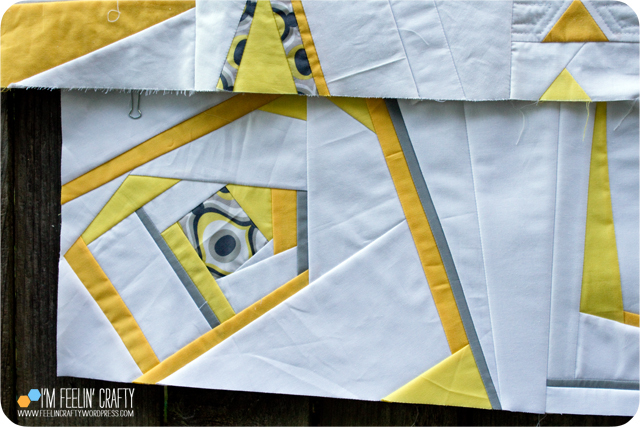 I don’t integrate my scraps with the scrap bins until the quilt is all done! So this was easy to do! I had the bag right there and ready to go! These are my ‘two’ scrap blocks. I started with a long piece of batting that was close to the height I was looking for. But slightly larger. Then I just started a bit in the middle and kept using my scraps until I ran into where the pieces kinda quilt building on themselves. Then I started over. It’s very log cabin like…. You can see my ‘eyes’ are the center, where I started. Then I’d kinda log cabin around the center, then go off in one direction and come back and go somewhere else! I used only scraps for these, except I did have to cut a little extra white. I do want to add another thinner strip of this block up the right side, but I ran out of scraps! So I need to do some other blocks and come back to add another row. And I really started making some ‘rules’ for my quilting. 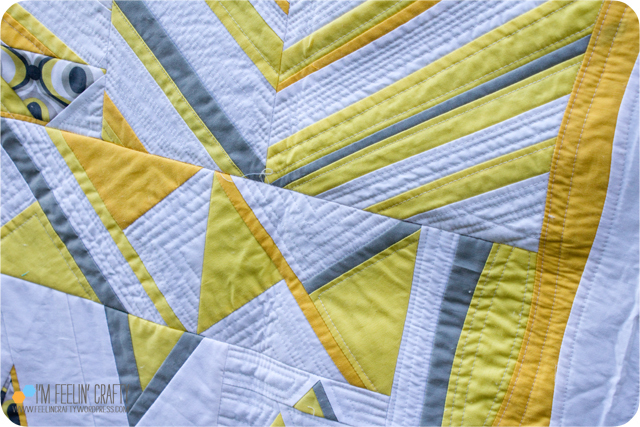 Most of the quilting is in the white. 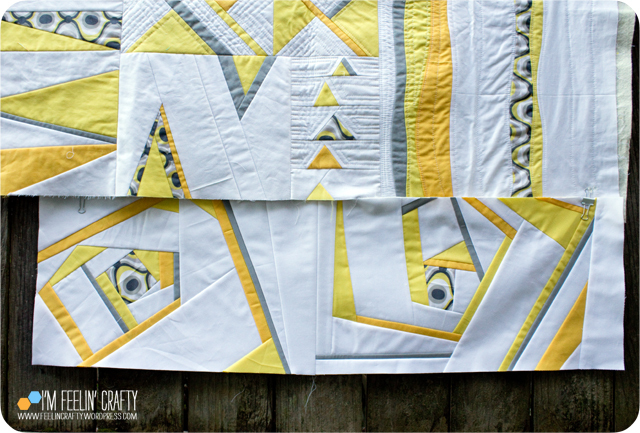 Sometimes I’ll quilt in the yellow, but not often. And I am NOT quilting on the grey! I’ve also found that I don’t want to quilt to the edge until I another block to sew on. 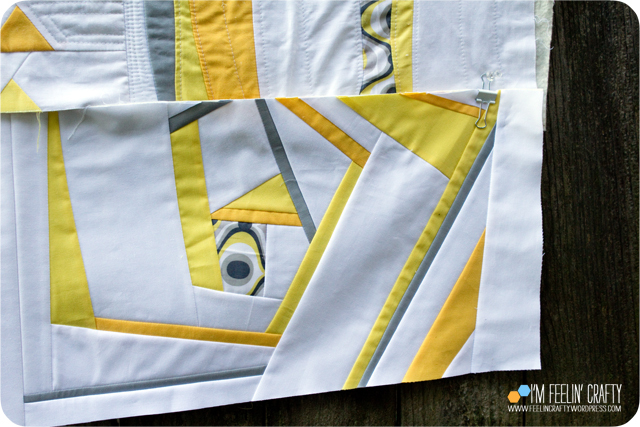 I’m using my quilting to sew down my seam allowances, so therefore I need a seam allowance to quilt over! And I’m stitching in the ditch to get from one stop to the other…. I’m loving this one! I just learned about June’s BOM, so I’m excited to get started on it! 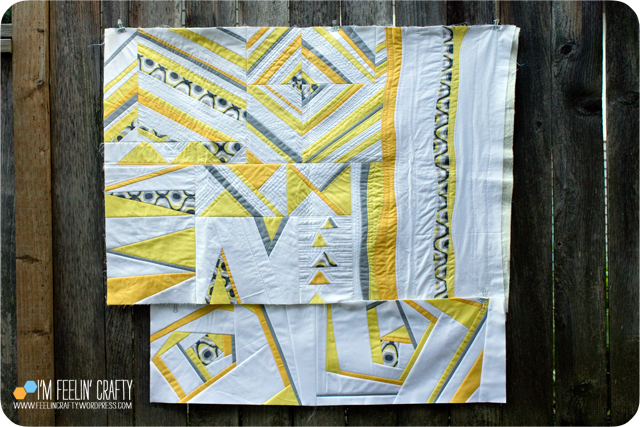 This is looking SO good, and I love your quilting rules! Keep talking about the quilt as you go process because I find it very informative. 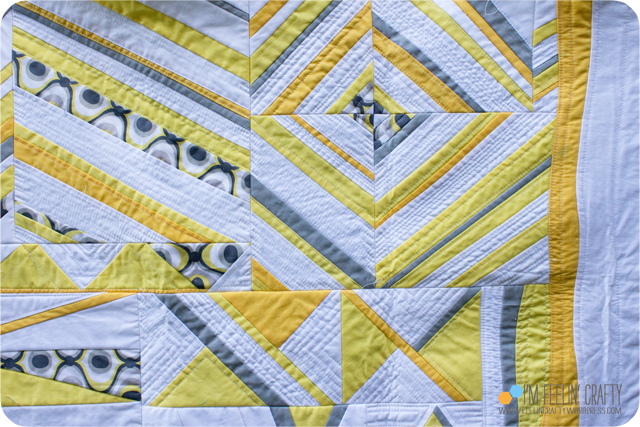 Will there be more quilting in the latest blocks you did with the scraps? Can’t wait to see more. You and me both!!! 🙂 Thanks!